The F.O.E. donates more than $10 million a year to local communities, fundraisers, charities and more. As part of its philosophy, the F.O.E. gives back 100 percent of monies raised in the form of grants. Fundraisers are conducted for eight major charities, including kidney, heart, diabetes, cancer and spinal cord injury funds, a children’s fund, memorial foundation and the Golden Eagle Fund. The F.O.E. was founded in February, 1898 by six theatre owners gathered in a Seattle shipyard to discuss a musician’s strike. After addressing the matter, they agreed to “bury the hatchet” and form “The Order of Good Things.” As numbers grew, members selected the Bald Eagle as the official emblem and changed the name to “The Fraternal Order of Eagles.” The women’s auxiliary traces its roots to 1927. 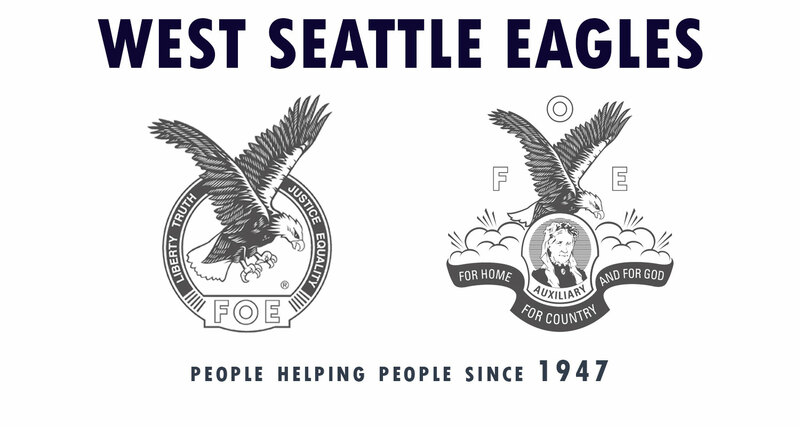 The Fraternal Order of Eagles includes nearly 800,000 members and more than 1,500 locations across the United States and Canada. Stop by one of our locations and see why we’re known as People Helping People.